An exceptional A4 colour multifunction that delivers fast processing times using less energy consumption. Copy, fax, scan and print faster with an exceptionally fast first page out time of just 5.5 seconds and print speeds of up 47ppm. 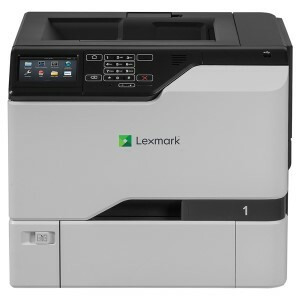 The Lexmark CX725de is perfect for any demanding print environment and will impress with it's delivery and efficiency. Advanced security features ensure confidence when handling private data and documents while Lexmark's exclusive Unison toners give exceptional and durable finish to all printed documents. Even when inks are running low Lexmark Unison guarantees the same professional quality with no fading. The CX725de also offer double sided printing as standard as well as USB, Network and Wireless connections making it a simple and easy solution to introduce to any workgroup. It's intuitive touch screen is designed to simulate the habit displayed when using well-known tablets, so users can operate easily and instinctively. 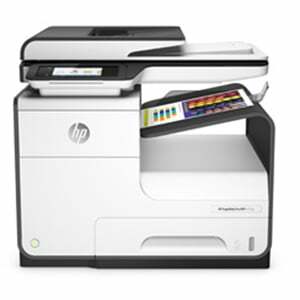 This is an exceptional MFP at an exceptional price, to arrange a demo call an advisor today on 020 7378 4729. For full specifications of the Lexmark CX725de please view the CX725 series brochure.